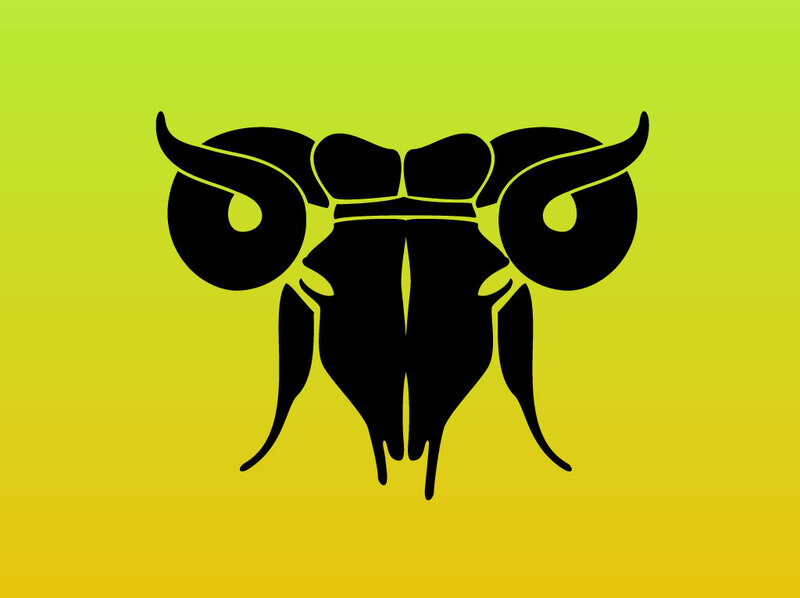 One color vector graphic or icon depicting a ram skull the astrological symbol for Aries (Ares) god of war. The free download is well designed so it would cut well on a vinyl plotter and look great as a part of a Zodiac website, logo design icon or tattoo design. Tags: Ares, Astrology, Calendar, Horoscope, Month, Mythology, Signs, Star, Zodiac.